Fun, Sun, & the 101! The Historic heart of Encinitas lies on the 101 Hwy just West of the 5 freeway, where the main why is lined with shops, local Encinitas Businesses, and of course beautiful beaches with coastal homes. Downtown Encinitas is truly unique, full of vibrant community life and culture no matter what time of day or time of year. Living in Downtown Encinitas gives you access to one of the most beautiful beaches known as Swami’s Beach, where the best sunsets are soaked in by residents every evening paired with the point break’s waves crashing along the coastal beach. Life in Downtown Encinitas offers residents community centered living, with dining, shopping, and entertainment all within walking distance in the main part of downtown. The homes in the downtown area of Encinitas are located around the area North of Santa Fe Dr., and circle around Encinitas Blvd. Most homes in the proper “downtown” section are also located West of the 5 freeway and offer “beach style homes”. Homes that run along 4th street in Encinitas offer oceanfront, bluff top views of the ocean and access to some of the most beautiful sunsets over the ocean. These homes are mostly detached, four bedroom plus layouts on smaller lots. 2nd and 3rd street also run parallel with the ocean and is comprised of neighborhood businesses mixed with custom beach cottages and homes with tons of Encinitas beach living character. There are some mixed use condos and apartments popping up along the Hwy 101 which offer a more “downtown” living feel, check out The Lofts Encinitas right above Moonlight Beach. From Cardiff, San Elijo Ave turns into Vulcan Ave. which sits behind the Coaster and Amtrak train tracks East of Hwy 101. Vulcan and the neighborhood on the East side of Downtown offers multi-family rental properties, quirky historic homes, and new builds. Cornish Dr. sits high up on the hills that overlook downtown and offers incredible views of the city. The eclectic homes in Downtown attract residents from all walks of life and living her is well worth the money it takes to live so close to everything! Check out homes for sale West of I-5 on our site and browse your future beach style dream home! 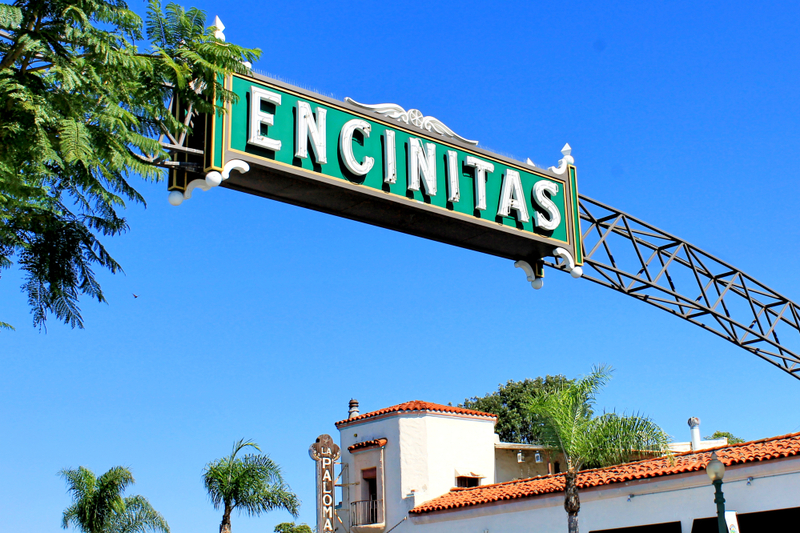 Where do we begin with things to do in downtown Encinitas? You won’t be bored when exploring the coastal blocks of downtown. From amazing food curated from all around the world, whole foods market, farmer’s markets, nightlife, street fairs, and shopping to fill your plastic free shopping bags. Explore Encinitas and all it has to offer for residents and visitors. Where to eat in Encinitas? Pick from a number of options! Perhaps the best thing that Downtown Encinitas is known are the dozens of restaurants and breweries that dot Hwy 101. From gourmet Italian food to local breweries with local beers on tap, you can eat and drink to your heart’s delight. A popular and enjoyable place to grab some delicious food is our personal favorite, BierGarden , which offers indoor/outdoor seating, large flatscreen tvs to catch the latest surf contest or sports game, and a great spot to catch up with an old friend. Try their infamous bloody mary’s with a beer chaser and you won’t be disappointed. Lofty Coffee Encinitas is by far the best growing local coffee spot in North County San Diego. Coffee snobs and addicts in Encinitas agree that the coffee from Lofty is by far superior than your average coffee – it may even be converting those diehard Starbucks fans too. With two locations right in downtown Encinitas and more popping up in places like Solana Beach, this super local coffee spot will fill your caffeine cravings and even give you some great pastry options with gluten free muffins. Living locally in Encinitas offers great coffee for all who find it the best of morning routines. Lotus Cafe is also one of Encinitas Coast Life’s favorite restaurants to pop into for lunch or maybe a wholesome dinner. With a large menu, prices that won’t break the bank, and a great location downtown, Lotus Cafe makes eating healthy and eat downtown a great option. Try their artichoke grilled chicken sandwich or their soup of the day! They also have tons of vegan and gluten free options for those that have dietary restrictions. Small ones, large ones, bargain or luxury, food and fun – if you haven’t guessed it yet, I am of course describing the variety of shopping that you can find in Downtown Encinitas. The shops on the 101 in Encinitas provides everything to fill your shopping needs and plastic free bags. Indulge in a little shopping spree, grab some gourmet food, then hit the shops again. You can make an entire days just wondering the blocks in downtown Encinitas. Here are a few highlights of the stores we frequent and love. For a complete list and more info on the downtown 101 visit the Mainstreet Association here. If you are looking to get outfitted for the next costume party or you just dig vintage threads, then the quirky Flashbacks vintage shop will help outfit you. Choose from thousands of unique and vintages pieces in men’s and women’s apparel and accessories. Step back in time once you step into this colorful shop. If you are searching for the perfect home decor then look no further than Gardenology or Grounded. Both shops are located a few blocks from each other right on the 101. Gardenology offers a fresh look and organic, rustic, and lived in design and Grounded offers a cleaner, modern take on home decor offering Swedish and Danish Design. Both stores will help you outfit your home to look beautiful. If you are looking to fix you home, Ace Hardware is conveniently located and offers all your home care gear. Other shops to know are Bead, Crystals & More, Whole Foods Market, Hansen Surfboards, Univ, Book Tales, and Arnette Eyewear. 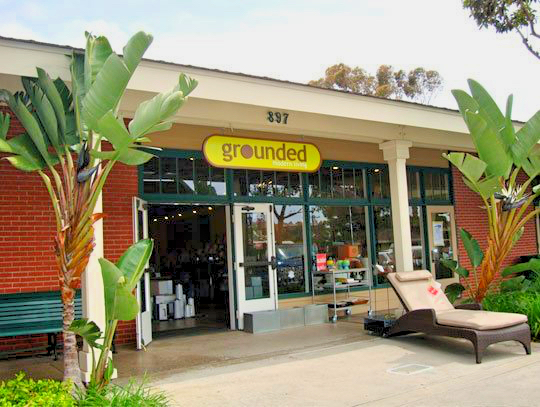 From crystal beads to surf gear, the shops in Downtown Encinitas have you covered. Chic and stylish, this upgraded move-in ready two-story condo offers a prime Pacific Station address in downtown Encinitas that is close to the beach, shopping, recreation and transportation. Steps from a private community patio with BBQ and fireplace, the light, open-concept design of approximately 1,085 square feet offers two master suites on the second floor, with one including a large balcony with a peek at the city below. This iconic seaside house was created to act as an experience, rather than simply a building. The continuous flow of the home between indoor/outdoor is intended to highlight man's connection to nature, while allowing for a seamless shift between inside and outside living. Located perched above the Pacific Ocean in Encinitas, the clean lines and white palate cleanse the mind and create an instant state of relaxation. Within steps to the heart of Downtown Encinitas, Swami's and Moonlight Beach. Urban chic and downtown sophistication in a Beachside setting. Massive sun drenched windows, extraordinary high ceilings and designer touches throughout sets this extraordinary Atelier apart. Located in the heartbeat of Downtown Encinitas...enjoy the seaside lifestyle of strolling to the beach, restaurants, retail and boutiques...Enjoy the Elegance and freedom of an enviable lifestyle...Secure underground parking for 2 cars, private rooftop deck with fire-pit. Elevator to second floor. Newly remodeled single story downstairs condo. This unit is rare as it opens up to 9 acres of green belt with two patios and an ocean breeze. Updated kitchen & bath, flooring, windows and doors. This unit also has hook ups for washer & dryer. Centrally located and close to everything, walking distance to downtown Encinitas, moonlight beach and shopping. Gated community, low HOA, dog park, pool & clubhouse. Perfect starter home or investment property. Gorgeous move in ready 4 Bed/3 Bath home in the highly desirable Encinitas neighborhood.This home is located near all shoppings, restaurants, award winning schools, only a few miles to the beach and Encinitas Downtown.Cook your delicious recipes at the beautiful upgraded kitchen. One bedroom and a full bathroom downstairs. All bathrooms have been upgraded. Spacious master bedroom.Entertain at ease at the amazing backyard complete with a sparkling swimming pool, perfect for family and friends gatherings. Spacious bright 2 bedroom Open floor plan with 180 degree easterly views. This twinhome features vaulted ceilings, beautiful new hardwood floors, new double pane windows, marble fireplace, 2 car garage, kitchen with breakfast bar, and large formal dining area in a quiet gated community. Close to: beaches,schools,shopping,downtown Encinitas. This gem wont last long! Welcome home to the most amazing area in Cardiff by the Sea, walk to Swami's surf break, the beach (300 steps) and all that downtown Encinitas has to offer. 270 degree ocean views, 3600 sq ft, plenty of outside space, decks and patio's everywhere. This could be your once in a life time opportunity to own your piece of Paradise! Your total escape begins the moment you step inside your new home. Be immersed in an elevated and timeless estate that embodies the comfort, sophistication, and handcrafted details a dream home is made of. Located in the exclusive Country Rose community of Olivenhain, this spacious and private oasis is just a short distance from downtown Encinitas and Rancho Santa Fe. Open the custom wood doors to reveal the immense amount of natural light streaming in on the spacious foyer. SEE SUPPLEMENT! Based on information from California Regional Multiple Listing Service, Inc. as of April 22, 2019 19:09 and/or other sources. All data, including all measurements and calculations of area, is obtained from various sources and has not been, and will not be, verified by broker or MLS. All information should be independently reviewed and verified for accuracy. Properties may or may not be listed by the office/agent presenting the information.